> Dried Mushrooms>Lion's Mane>Dried Lion's Mane 8 oz. 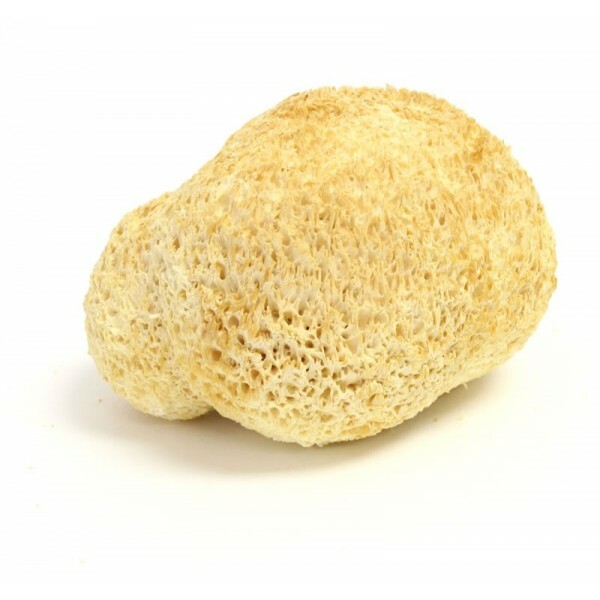 Lion's mane, or Hericium erinaceus, is one of the more interesting looking types of mushrooms out there. In place of the traditional mushroom cap is a large clump of teeth, which are spine-like structures a few millimeters long. When cooked, lion's mane has a seafood-like flavor without being too overpowering. Many liken it to the taste of shrimp or lobster. Thus if you love the taste of seafood but you're a vegetarian or allergic to shellfish, try spicing up your next meal with lion's mane. 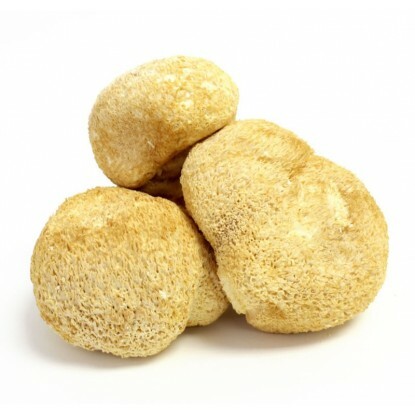 The trick to preparing all edible mushrooms in the Hericium genus is to cook them slooowly. These are tough and watery mushrooms that need longer periods of heat to cook off moisture and make them chewy. The extra cooking time is well worth it. Lion’s mane mushrooms can be sauteed, broiled, grilled, or added to any recipe that requires mushrooms. 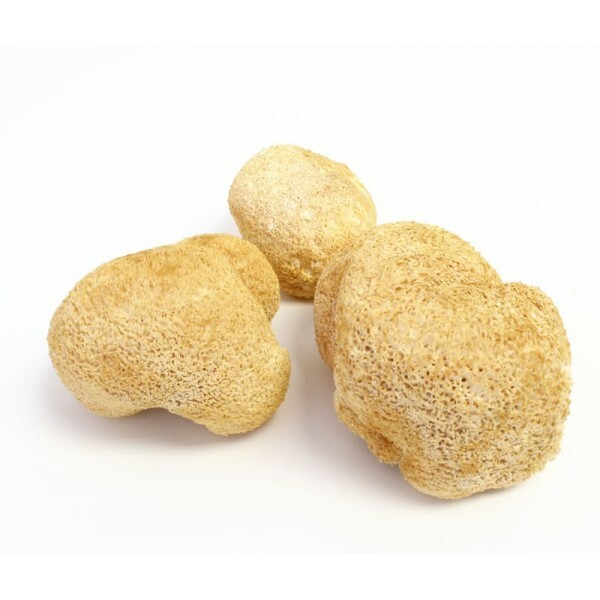 These mushrooms are especially tasty when served over fish or combined with fresh vegetables. 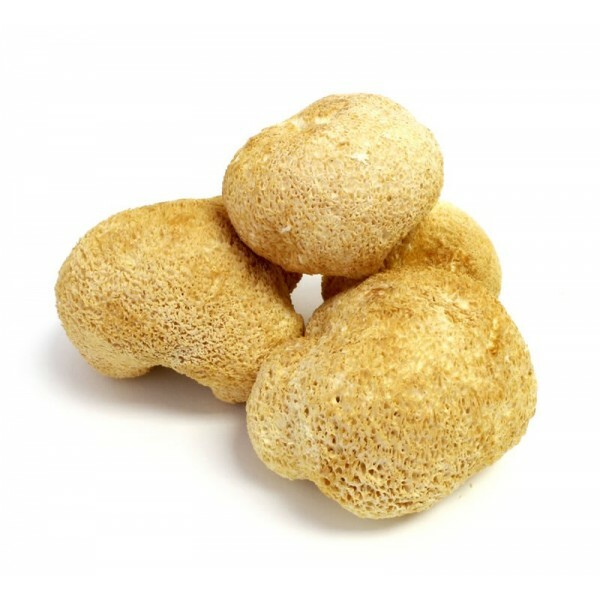 Lions Mane mushrooms most promising feature is it's ability to stimulate synthesis of nerve growth factor (NGF). Which helps brain dysfunction associated with Dementia and Alzheimers Disease. Research has also shown very positive results in other neurological disorders, such as Attention Deficit Disorder. An agent in Lion's Mane Mushroom inhibits the toxicity of the plaques. This agent is a phospholipid and can exert a protective effect on brain cells in culture, shielding them from damage by the amyloid peptides. Dried Lion's Mane 1 Lb.